Driving through the avenues of downtown Accra, the capital city of Ghana, especially in the where the governmental buildings and monuments are located, I was struck by its resemblance to Lutyens Delhi. The Independence Square building in Accra had a striking resemblance to our India Gate. Tata buses jostled for space at the bus station, reminding me of similar facilities back in India. I visited Accra multiple times during my 30-month assignment at an international agricultural research centre in Cotonou in Benin. 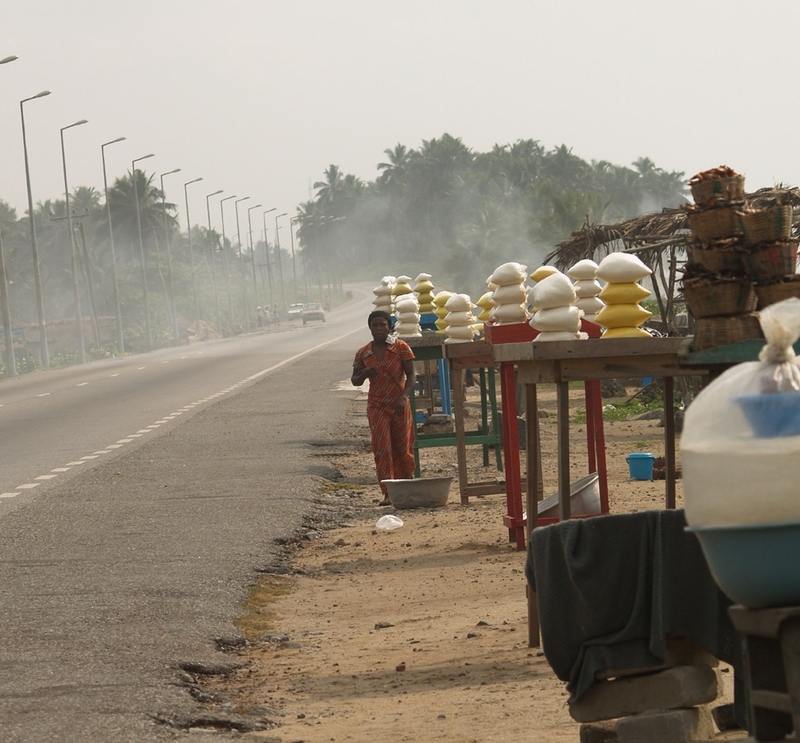 Travelling from the francophone Benin, through Togo, to the Anglophone Ghana always was a welcome break for us. In both India and Ghana the colonial master – Britain – had laid down a common layer of administration and governance over the countries’ histories. Even in their struggle for independence from the British, Ghana drew much strength from India which had crossed the milestone a decade before the African nation. Kwame Nkrumah wrote thus in an essay titled The impact that lasts in 1960. His essay was published in the volume A study of Nehru published by the Times of India group for Nehru’s 70th birthday. It is not surprising that 55 years later, the present President of Ghana, John Dramani Mahama, along with many other African leaders praised Nehru for the initiative of building and strengthening Indo-African relations, much to the chagrin of Prime Minister Narendra Modi, who had carefully avoided references to Nehru or his daughter. The present context of the India-Africa Summit was more to do with economy rather than politics or history. In fact with the foreign-policy-begins-here-and-now outlook of the present Indian Government, history was not something that it wanted reflected at the meeting. Unfortunately, no nation is a historical island, and references to Jawaharlal Nehru would have been a natural reflex for many African leaders. A whole group of African nations got their Independence in and around 1960, slightly more than a dozen years after India got hers. So for many of the leaders who led their countries through their independence struggle, India was the model of a new nation. It is India that they looked to for the way in which a constitution could be designed and a people’s democracy set in place. Even though many of the African countries did not develop an as effective constitution, or a robust democracy as in India, the image remained in their collective psyche. Jawaharlal Nehru was seen as the leader-statesman who led India through this process. I was in Cotonou from August 2009 to December 2011, and even then China and India were both investing in projects in African countries. The difference between the two investments was that while China revelled in more in your face kind of engagement, India had a subtler approach. Thus, the neatly tarred highway entering the city of Cotonou in Benin, a principal highway in Mali, or similar projects were funded by the Chinese with quid pro quos in terms of land for farming and other business deals. Indian deals were more to do with private agriculture and telecommunications. Airtel was entering the mobile phone market in a big way in those years. That was a period of India’s heightened business interest in Africa. Even while the US and Europe was going through economic distress, China and India’s economies were growing. India’s confidence in its economy was growing and the rupee had a new international symbol. That was also the period when the India-Africa Forum Summits started. The first one was held in New Delhi in 2008, and the second in Addis Ababa, Ethiopia, in 2011. Africa was seen as the business destination where the next growth story would happen. Today, while the third Summit was held in New Delhi last week, the prognosis about Africa remains the same, though India’s economic position has weakened. However, with China doing worse, the Summit was seen as an opportunity for India to enter the space vacated by the Chinese in Africa. Also, the meeting was an opportunity for India to garner support from African countries for its bid for a permanent seat in the UN Security Council. A continent with 54 countries, Africa has a landmass that is eight times as large as India. In this vast expanse live one billion people. Its economic growth story is continuing at 4.5% to 5% of the GDP, according to the African Economic Outlook for 2015 published by the African Development Bank and other international partners. In 2013, the growth rate fell from the above 6% figure of 2012. Interestingly, the West African countries grew by 6% in 2014, despite the Ebola outbreak. Africa’s population, however, is likely to grow in the coming decades. In 2014, nine out of 10 top countries with the highest fertility rate were from Africa. On an average, a woman in Niger had 6.89 children, and this was the world’s highest fertility rate. For the national leaderships in Africa, their relations with India started even before their nation states gained independence from their colonial masters. Their business relations, on the other hand, started in the early days of their existence as independent countries. History is not a buffet where we can pick and choose. Whether a dish is good or bad is a matter of personal understanding, but the buffet is in open view of all. Thus for African leaders, Jawaharlal Nehru is the earliest and an important leader of India with whom they relate. And they will remember him regardless of what the Indian Government of the day wants. The basic mistake we do is to treat Africa as one homogeneous entity which it is not, by any stretch of imagination. Evidence is trying to promote UN reforms in the parleys, without realizing that South Africa's bid (together with that of India's) is a bone of contention among other African nations such as Nigeria.